Bagpipes and Drums for all occasions!!! Darrell Calvillo is an open class solo competitor, band leader, musical arranger, studio musician, instructor, band clinician, and proprietor of DC Music with nearly 20 years of professional experience in the music industry. Darrell was great. He was prompt, came in playing, respected our wishes. We’d hire him again in a heart beat. We had a little sentimental meltdown when in came in wearing our mom’s family tartan—Forbes. Unknown and unplanned! 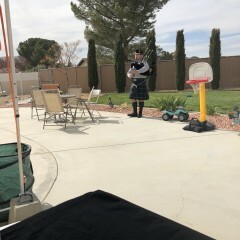 My stepdad had few requests for his memorial service, and having the bagpipes played was one of them. Darrell came and played before and after mass, and it was truly incredible and my mom was very happy - she wishes she could give him 10 stars because he was so great. Everyone was very impressed with his playing and crowded around to listen to him. He made the service even better by being there and playing for all of us. When we submitted our requests for quotes, he quickly responded and added a personal touch by calling to speak with us, which is something my stepdad always respected. 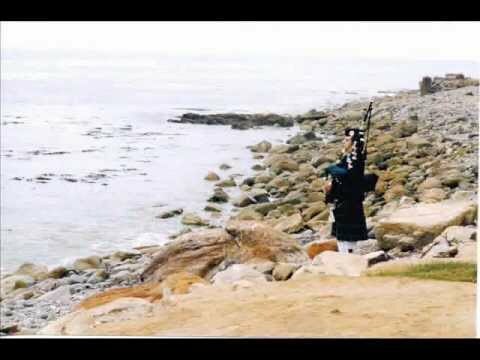 If you need someone to play the bagpipes for any occasion, he would be your best choice. 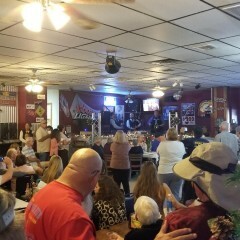 We were all so pleased with Darrell and his beautiful bagpipe performance. He was easy to work with, accommodating, in time and professional. He his very talented and it is reflected in his passion for the instrument. Thank you for making this so memorable. Everyone enjoyed it! Darrell did a great job. He was warm, friendly and punctual. 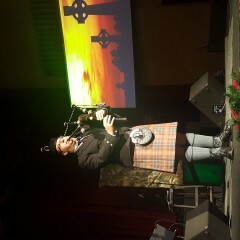 David was excellent bagpiper. He came and knew exactly what to do, he coordinated with Air Force detail and the Mortuary Crew. I love the selections he played. I would hire him again if needed one. We engaged Darrell to play Amazing Grace at the end of my Dad's funeral while he was being brought out of the church. Darrell was excellent. He arrived on time and since we were near the end of the mass, Darrell appeared at the exact moment needed. With my Dad being from Scotland, it was a perfect touch and everyone was very moved. Prior to the service Darrell was responsive by e-mail and text so there was no anxiety. I would highly recommend Darrell. Darrell gave my daughter's wedding the perfect touch! 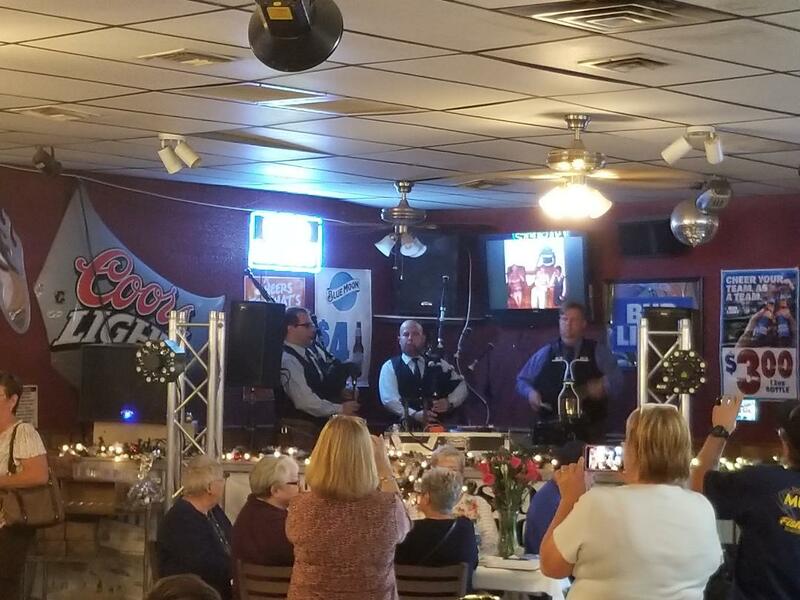 It was so magical to hear the pipes playing up in Julian before and after the wedding. I'm so glad I hired Darrell to give the day a special ambiance. He looked great, sounded amazing and was terrific to work with. Thank you Darrell! Thank you for the feedback Kristine. I am glad that you were satisfied with the work I did. I selected Darrell Calvillo for musical support at my father's funeral service. He arrived on time, coordinated with me regarding my expectations and requested arrangements and performed flawlessly. It was professional event and met my expectations. Darrell was incredibly flexible with the plan for my event. He did an amazing job working with us and playing every song we needed. He was dressed traditionally and played beautifully. Thank you! Thank you Christine! Thank you again for having me. Your Dad only deserved the best! 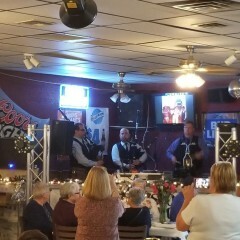 Mr Calvillo played Scotland the Brave on the Bagpipe at my husband's retirement party from the Military and nearly 30 years in law enforcement. 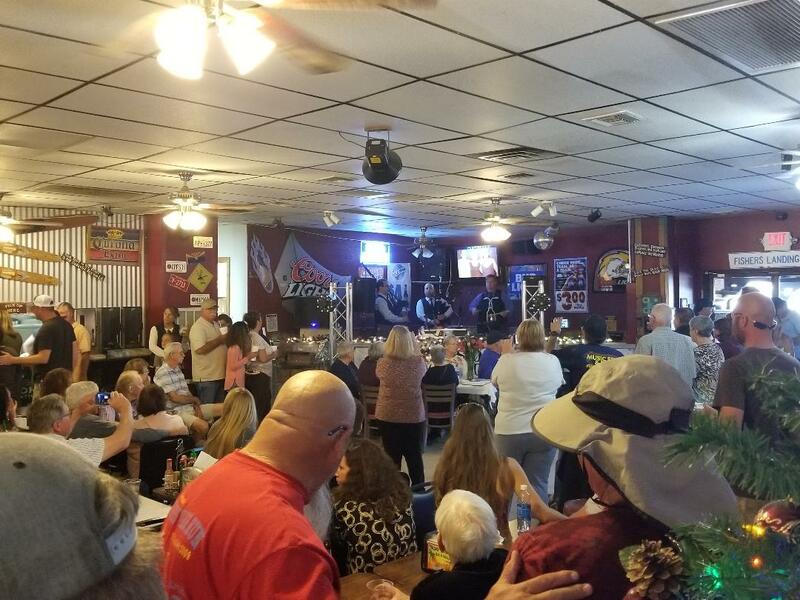 We had over 250 guests and he received a standing ovation. I would highly recommend him, he was very professional and made my husband's night special. Thank you Darrell Calvillo. Darrell Calvillo performed the bag pipes at my Air Force retirement ceremony and it was the best performance by a bagpiper that I have experienced. He was truly a great musician who inspired the audience to all have tears in their eyes. He was professional and was a great at dealing with our unrehearsed/unplanned moments. He did so with great flare and musical fortitude. He did a wonderful job and is very highly recommended. The guests loved his performance. Darrell was the epitome of professionalism. 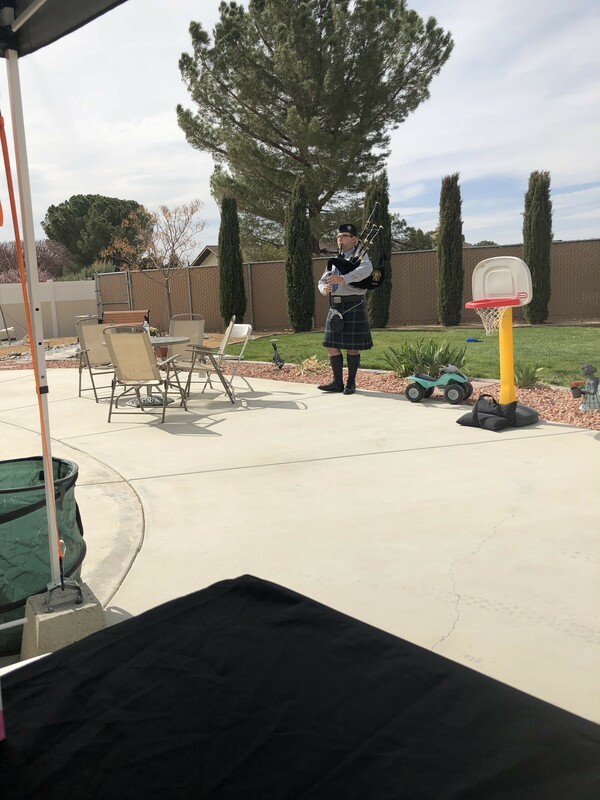 From the moment we spoke about my needs for our graveside service to his attire and beautiful bagpipe playing he was exactly what my father would've liked to hear. Thank you so for listening to our requests and playing just the right songs at the right time! If you are looking for a piper for your event please contact Darrell, he will not disappoint you! He was very adaptable, even with an event that required him to be at the location at 4:20 am. He also played very well, and was much appreciated as he was the icing on the metaphorical cake of my event. 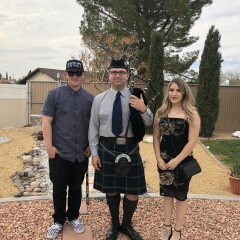 On time dressed for show and excellent bagpiper..
We booked Mr. Calvillo for my sons funeral and it was beautiful. I cant say enough good things about this guy. Darrell Was Great and I will recommend him to everyone! He is Wonderful and Made the day better!!! Also talented at the pipes. We enjoyed him so much, we invited him to stay at the party! Top notch piping and drumming in Celtic garb! Darrell is a member of Celtic/World band Silent Planet and also performs as a guest artist with various bands and ensembles such as The Chieftains, The Hollywood Bowl Orchestra, and the Blue Man Group. 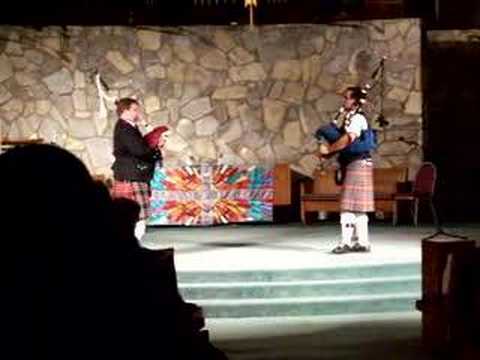 Darrell is a member of the Prince Charles Pipe Band of San Francisco and has previously competed in every grade. In the entertainment industry, Darrell has spent countless hours in the studio and recently has been featured by Lee Whittaker, KC and the Wright Combination, and Robbie Bray. Darrell has also been in numerous television and commercial filmings. The obsession with making music started for Darrell at age nine when he first learned violin at school. During middle school and high school he performed with the Citrus College Summer Youth Orchestra and Claremont Youth Orchestra. Inspired by Riverdance and Michael Flatley's Lord of the Dance, Darrell became interested in Celtic music. 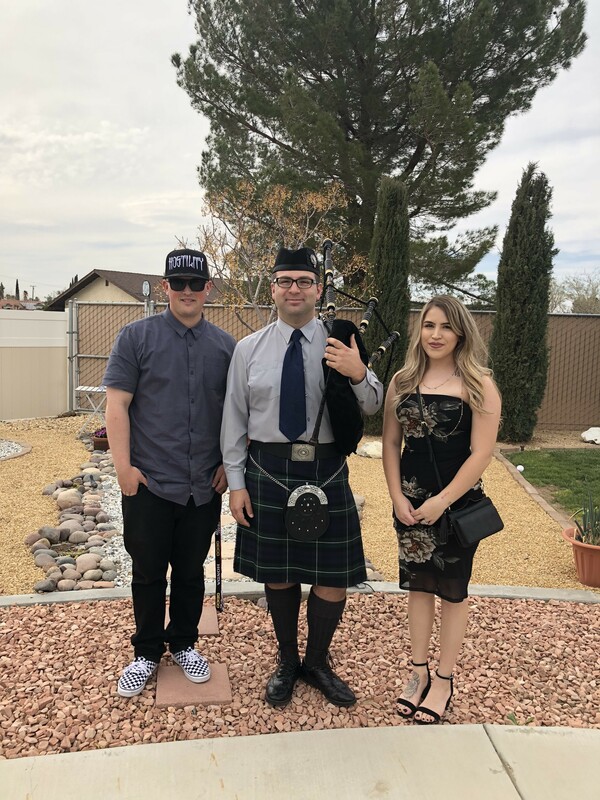 While in 8th grade, Darrell began to learn how to play the pipes with the Glendora High School Pipe Band, receiving formal instruction from Jeffrey Henderson and Colin Armstrong. During senior year of high school, began attending Citrus College to study music theory and performance. At Citrus College he began to learn baritone saxophone and performed in various school groups, including the Sierra Wind Symphony, big band, and Latin (salsa and cumbia) ensemble. Darrell transferred to the University of La Verne and earned his Bachelors Degree in Music. 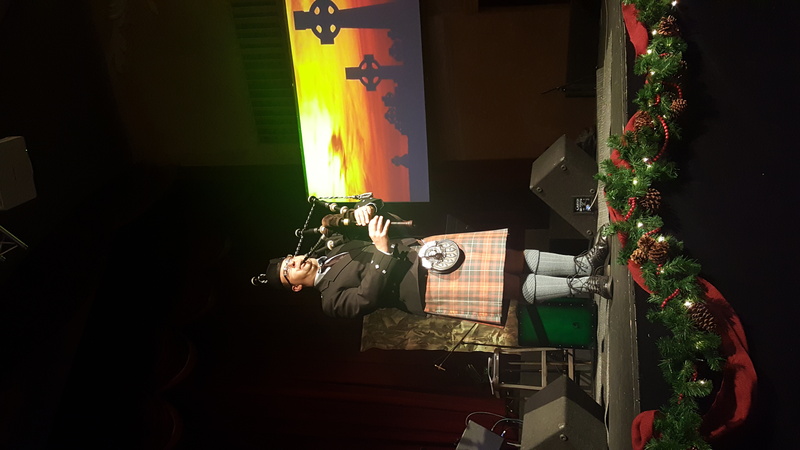 These musical foundations in combination with tutelage of master pipers Murray Henderson, Ian Whitelaw, and Seumas Coyne have gifted Darrell with extensive experience in western classical music with specialization in the Celtic genre. Leo Rowsome, Seamus Ennis, The Chieftains, Donald MacLeod, G.S. MacLellan, Donald MacLeod, Iain MacLellan, Tom MacAllister, Seumas Coyne, Jack Lee, Stuart Liddell, George Gershwin, Michael Brecker.